BlackBerry Leap went through our review routine and while it's hardly the easiest of recommendations it did convince us that it has its own niche. The dated Snapdragon S4 Play chip runs on two Krait cores and Adreno 225 GPU - not the most energy efficient on the market. We've met those chips on previous Berries and they didn't live up to the modern standards. What's the case with the new Leap then? We have some good and bad news. The good news is the Leap does better than its predecessors. The bad news - it's still not enough to be on par with the competition. With a massive 2,800 mAh battery we expected better. Let's start from the beginning though. We hooked up the Leap on a 3G call with another device and it lasted just a few minutes past the 12 hour mark, which is a pretty decent achievement. Next we ran our web browsing test script. 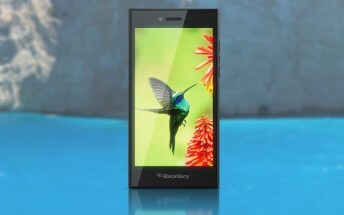 The BlackBerry Leap did OK at 7 and a half hours - right in the middle of the pack. A 5" big screen is enough for mobile cinema experience and the BlackBerry 10 OS video player is capable enough to handle most common formats. If you decide to use the Leap for movies, it will provide you with enough juice for 9 hours before its battery drops down to 10%. Another decent, if unspectacular achievement. Unfortunately, the Leap's Achilles's heel turned out the standby endurance. If don't use the newly introduced Power Saving mode, the Leap can't last more than four and a half days of idling, which is rather disappointing. Because of the high standby draw the Leap's final endurance rating turned out 45 hours. This means the phone will last a hair short of two days, if you use the Leap for an hour of 3G talks, web browsing and video playback each day. BlackBerry promised 25 hours endurance of mixed heavy usage, which seems about right. Note that BlackBerry OS 10.3.1 introduces a Battery Saving Mode, which allows you to optimize your battery life. You can configure it to limit the CPU performance, location and data services, notifications, and brightness, and advanced gestures.